I'm a huge Batman fan. Have been all my life. That made creating my top ten batman action figures list both easy and hard. Easy, because I had a million potential choices in my brain. Hard, because I had a million potential choices in my brain. When I decided to do a Captain Toy Picks... for Superman, I realized it was going to be easy and hard as well, but for the opposite reason this time. Rather than a million potential picks, I only had a few, although there's been a million figures produced. 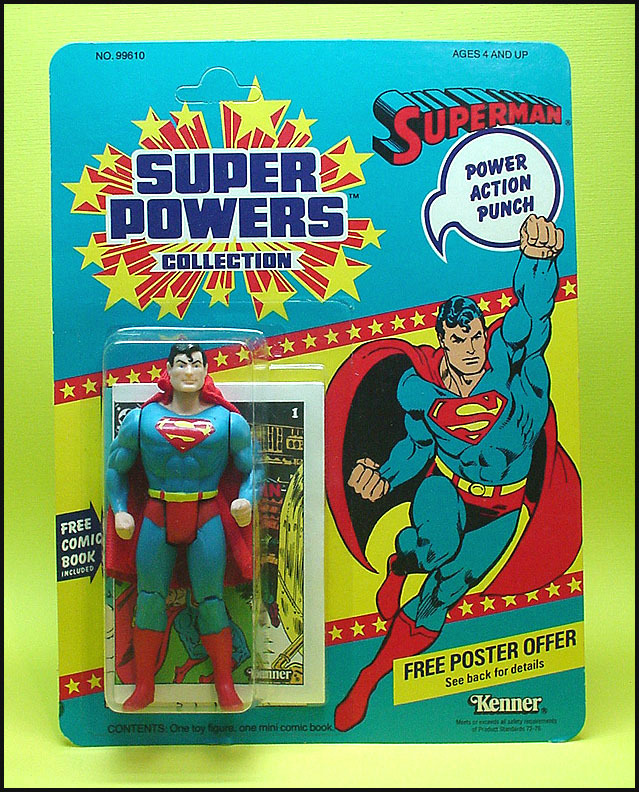 You see, I'm not a huge Superman fan, and I've collected far fewer figures over the years. But I thought that might make for an interesting list nonetheless, particularly with people who are big fans. How close would our choices be? Let's see! When I get around to doing my ten influential lines of all time, the Mego series will be near the top. I snubbed them a bit with my Batman picks, so I thought I'd make up for it here. 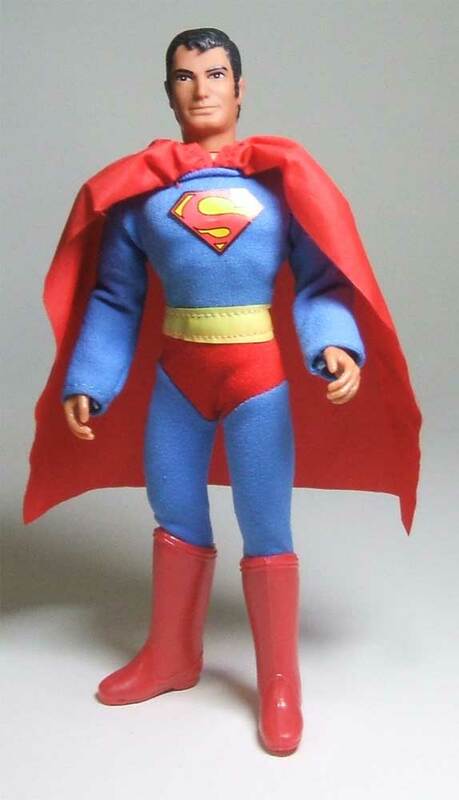 Their 8" Superman is a classic, and the line introduced another generation to the wonders of the character. If you're interested in Mego figures of any kind, I highly recommend hitting the Mego Museum. From complete catalogs of all scales to interesting discussion in their forums, they cover every aspect of Mego and Mego-like collecting. I snarked the photo below from them. The work of artist Alex Ross generates a fair amount of debate. Some love everything he does, others find it less appealing. It is art after all, so that shouldn't be surprising. I fall somewhere in between, really loving the classic styling with some characters, not so much with others. I think Ross' style and the character of Superman fit together extremely well. Someone like Batman is a modern character for me, and the Golden Age styles leave me cold. But for some reason, Superman is forever burned into my brain in his Golden Age incarnation, and even the Reeve interpretation seems to hearken back to that concept. Ross' style and that time period go hand in hand. I also really enjoyed the Kingdom Come story line, at least at the time. This 'old man' version of Superman is a nice change of pace, and I think DC Direct did a solid job bringing it to three dimensions. DC Direct (and then DC Collectibles) has a reputation for either poor articulation, or no articulation. Believe it or not, they do know how to do it right, but they seem happier with the Nerd Hummel style they adopted for most of their figures. 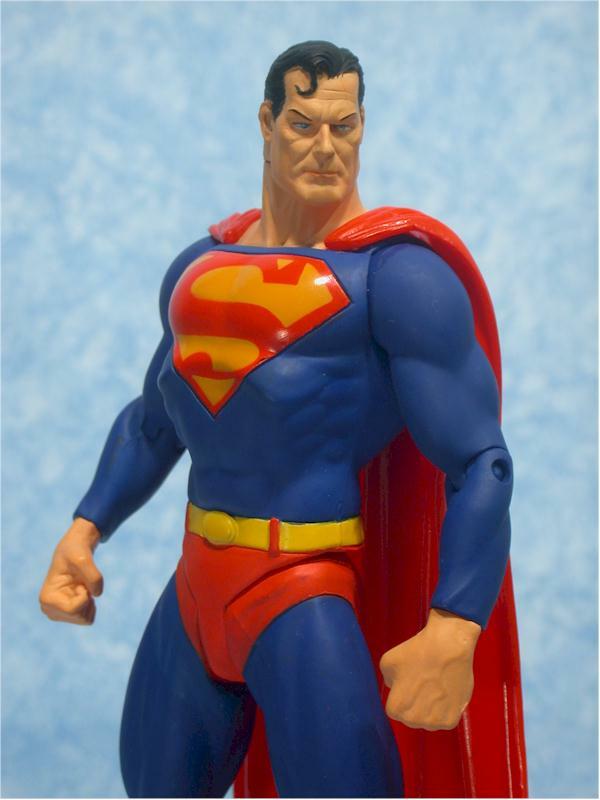 But back in 2003 they did a terrific version of a generic comic book Superman, sculpted by Tim Bruckner. It captures a classic style that transcends time, and it has some great articulation to boot. For many, this is the gold standard, although you'll see I have a different generic version that I prefer. Still, this remains one of DCD's best renditions of the character. When I was recently putting together my list of Top Ten Animated Series, I almost put the DC Super Powers figures on there. They were sorta, kinda, based on the popular DC Super Friends cartoon...but I decided sorta, kinda wasn't good enough for inclusion on that list. 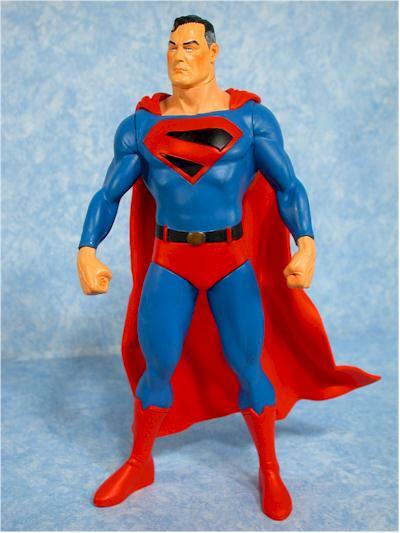 However, the line is extremely important in the history of action figures, and their rendition of Superman remains one of my favorites. It's silly power punch action is actually a lot of fun, and there's something about the design that captures both the Golden Age and everything 80's. If you're interested in anything Super Powers, visit the site KennerSuperPowers.com, where you can find a tremendous amount of excellent information on the entire series. I nicked the photo below from them. Remember what I said about Alex Ross and Superman? If you don't, you might want to see a doctor, since it was just a couple paragraphs ago. DC Direct created a terrific line based entirely on Ross' comic series Justice, and the first wave featured this excellent figure. I love the head sculpt, which was ahead of its time in terms of quality in this scale. The Dark Knight Returns comic series has always been tremendously popular with Batman fans. 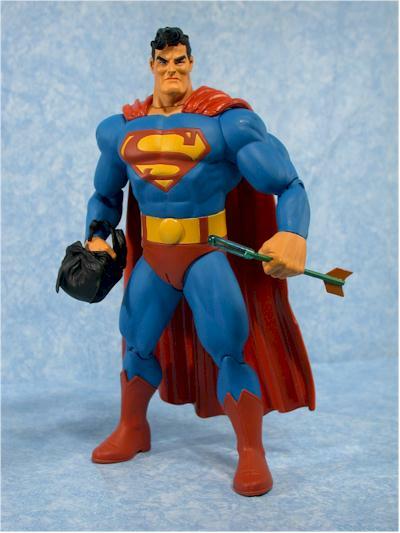 We've gotten our fair share of Batman action figures based on the Frank Miller artwork, but only a few Supermen. I'm hopeful that we see one in the Mezco One:12 Collective line, but until then, my favorite is the old DC Direct version that was released way back in 2004. They did a great Joker as well...maybe we need a top ten Joker figures list too? NECA shocked everyone a couple years ago with their foray into a 7" scale DC movie based line. It's been a very welcome surprise however, and just about every release has been met with tremendous fan approval. 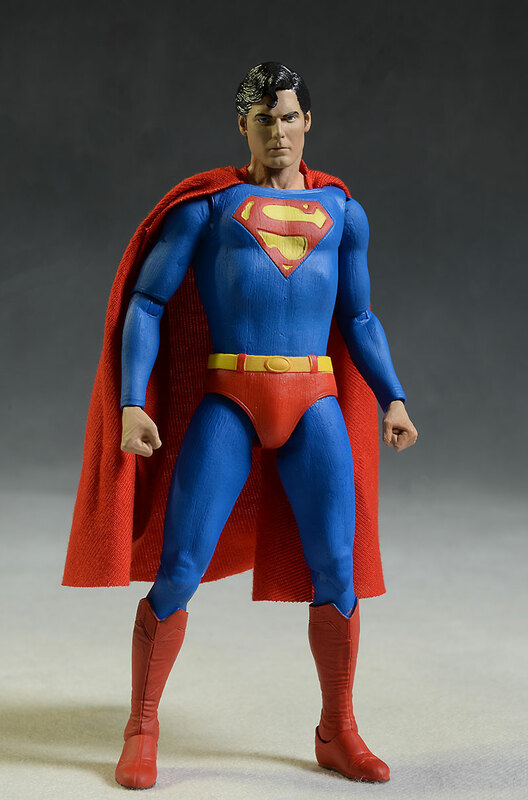 They did a Reeve Superman last year, which was unfortunately plagued with breakage issues, but if you got lucky with yours, he's a tremendous figure. There's always that one go-to action figure version of every character. When it comes to Batman, lots of people will say it's the Zipline version. 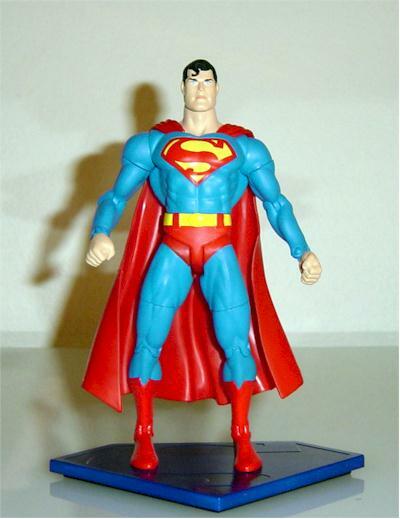 From that same series by Mattel, the DC Superheroes, I'm going with their Superman as my best basic, generic, Superman toy. They released him several times under different labels and different configurations (the two pack with Clark Kent is the one I have pictured below), but the re-used versions all share the same great sculpt, excellent articulation, and overall playability. I believe this is the most recent figure I've put on any of these lists so far, but it's with good reason. I have him in my collection, but haven't reviewed him due to timing. 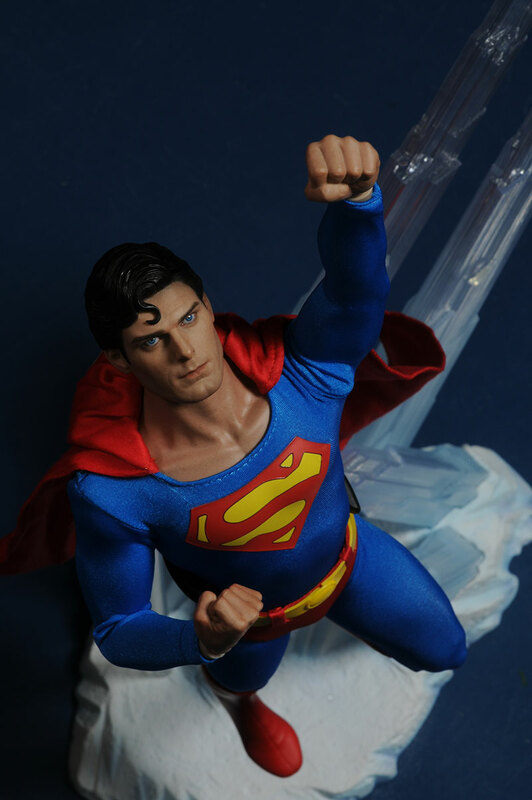 I did review the original Man of Steel Superman they did, and just about everything with this second release is an improvement. That's not a surprise to any Hot Toys collector, since the updated versions are almost always superior. Whether you liked the movie or not, this is a sweet Superman. 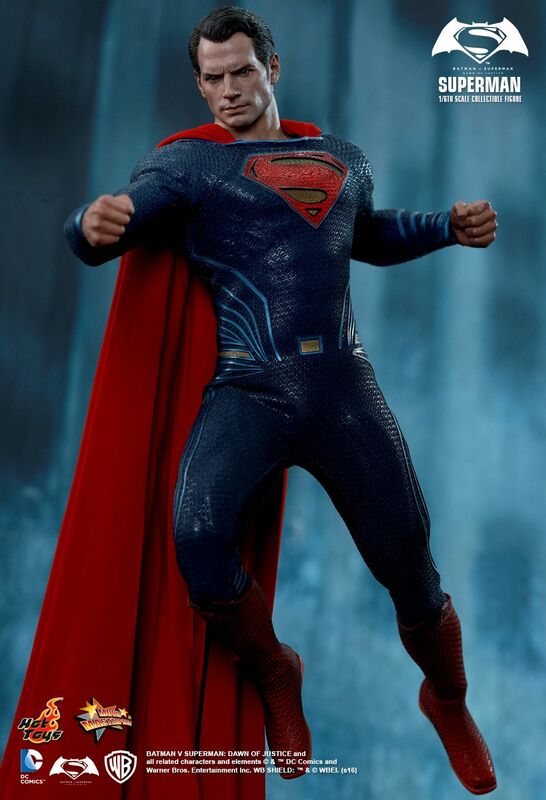 I doubt there was much question as to who would be the top pick, but I thought *maybe* I'd throw you off the scent by putting the Evil version of the Hot Toys Christopher Reeve Superman in the very first photo. There are actually some things about the evil version I like better than the regular, but you have to have the regular first and foremost, no doubt about it. 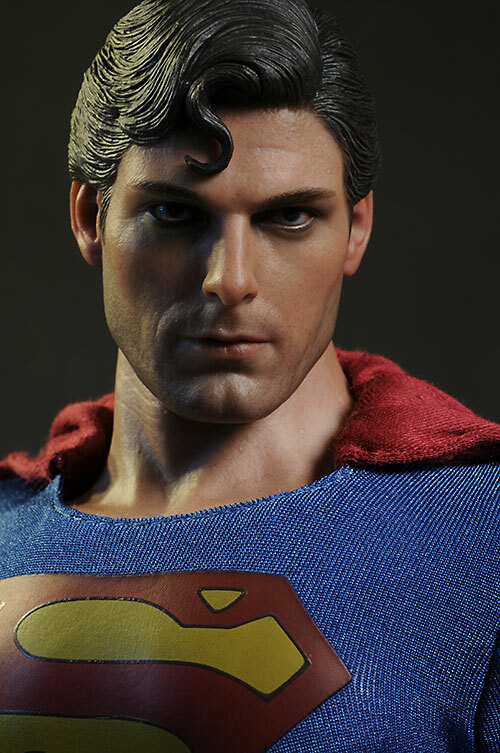 It's one of Hot Toys best figures, and easily the nicest Superman anyone has ever produced. That seems fitting, since his on screen portrayal of the Man of Steel is also the best. 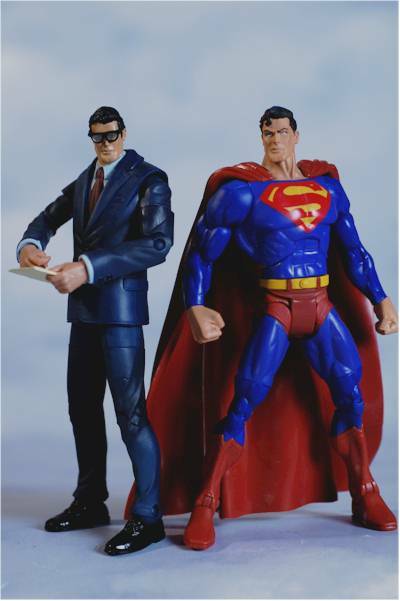 Just about every company has done Superman figures in every scale, so I have no doubt you'll have plenty of other suggestions. For example, some folks love the Figurarts version, and while I appreciate the excellent articulation, the head sculpt and cape don't do a lot for me. Even with the largely limited articulation, I'm not surprised that DC Direct managed to grab 4 of the ten slots. I'm also not surprised that Reeve also showed up twice - he is the greatest film version, after all. I suspect that if my One:12 Collective Batman V Superman figure were here, he'd make it on this list. I love both their regular Batman (who I should be reviewing tomorrow), and their Armored Batman, and I suspect the Supes is going to be outstanding as well. But alas, he's not yet in the collection. If you're enjoying this concept of Captain Toy Picks, drop me a line and let me know!